Ah, another bishonen-filled Tuesday. This week we’ll be covering the last of the potential suitors in the game Shall We Date- My Sweet Prince(sans Nagito, as I’m currently playing through him. I have a feeling once I’ve finished his story-line, I’ll have a post dedicated to him or at least mention him in an upcoming post). Just as the previously mentioned princes, these four all have personalities that range from playful to excruciatingly obnoxious, but somehow they tug on those heartstrings. Well, sometimes they do. 1) Prince Jun– Ugh, you know I usually enjoy picking the snotty and cold characters, only because they do a complete 180 and redeem themselves in the end. Jun manages that, but not without making you want to punch him in the face. Jun is the forceful prince, whom seems to desire the crown more than his other brothers. He likes to trick the PC, warming her up into thinking he’s a decent fellow, but it’s all an act to gain her favor and get her to bestow him with the bracelet. Of course he changes. I mean, this is an Otome game. Cold exteriors melt into little puddles and we’re left with a somewhat warmer and slightly randy love interest (omg how many characters don’t hint at wanting to do “things” to the PC?). Jun isn’t simply a cold, manipulating, and sometimes cruel character just for the sake of being so. Just as Melchiorre, he’s a complex prince that has a purpose for every action he takes. His reason for the crown is not simply to gain power. Of the princes, his reasons for taking the crown are valiant, though it takes a while for you to see that. 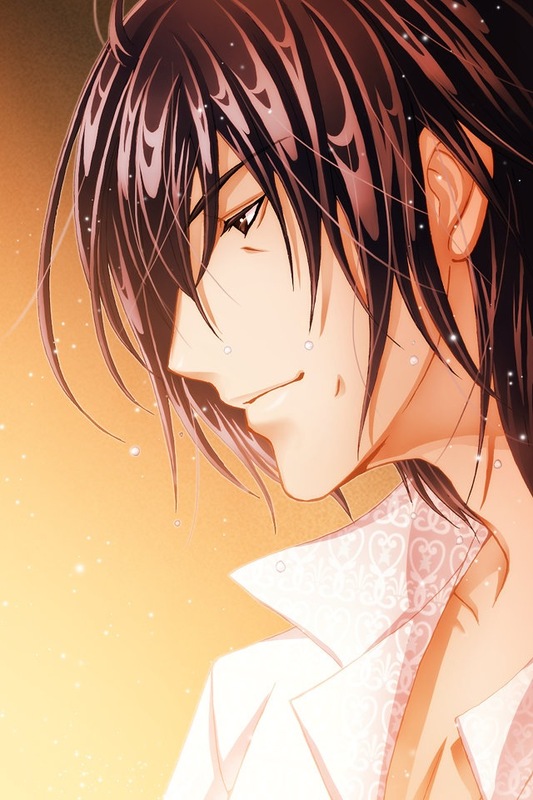 The ending to Jun’s story is beautiful, just because I dig a guy that’ll do anything to get the girl he loves. Despite Jun becoming a warmer prince to the PC in the end, his spin-off stories are frustrating. His old personality seems to pop back up. Having played through three of his spin-off stories, I can say that if you enjoyed the crueler side of Jun, it’s still there! The Royal Baby storyline just made me shake my head. Seriously, someone give that man a computer and teach him to use Bing/Google. Choose Jun- If you enjoy the cold/cruel type. Don’t worry, he thaws towards the end and turns out to be a pretty noble character, though in the spin-offs his demeanor seems to drift back to its old self. 2) Prince Alvah– My goodness, Alvah. He reminded me of a squirrel on Red Bull. Alvah is the playful and energetic prince of the lot. He enjoys recreational sports and showing the PC around town. Even the PC remarks on how energetic Alvah is and how out of shape she really is, when it comes to keeping up with Alvah. His very first CG is the image on the right, which was very surprising, as I wasn’t expecting any shirtless CGs. DO I approve? Like his brother Melchiorre, Alvah does not desire the crown, but desires a friendship with the PC. He’s very protective of her, which comes in very hand when Jun tries to dig his claws into her. The only thing I enjoyed about Alvah’s storyline was that he was protective of the PC and that he began “guarding” her at night, which was adorable. He has his own reasons for not wanting to be king, which were a little confusing. Honestly, Alvah has been my least favorite of the princes, only because his story just seemed to lack something. His romance with the PC just seemed a little unnatural, as I didn’t feel there was much chemistry building between the two as the story progressed. The ending made me facepalm. 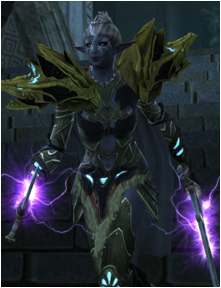 Choose Alvah- If you enjoy the protective and energetic type. His story may be a little lack luster, but if you’re into his personality, you might enjoy it. 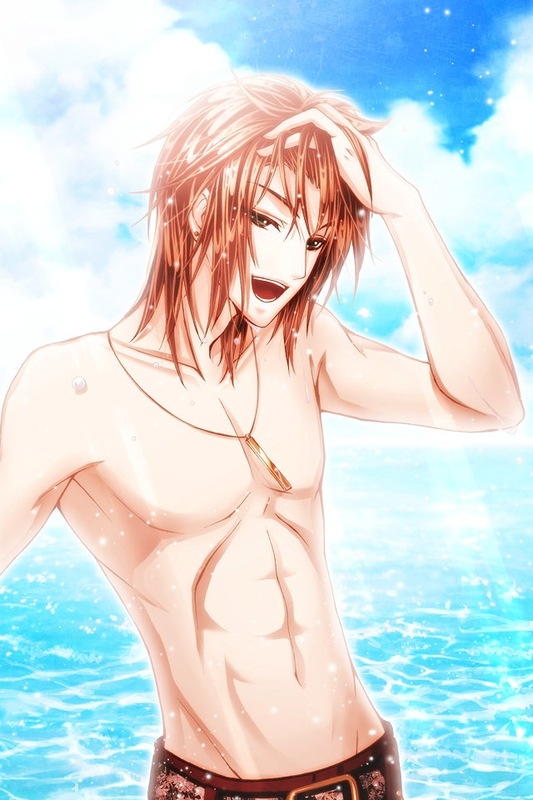 Also, shirtless CG. 3) Ivan the Butler– I wasn’t entirely sure how the story would play out for Ivan. He’s much older than your other love interests and is probably the same age as the PCs father. Yet the image to the right, is why I decided I had to play him. Come on, that’s one hot forty year old butler right there. He criticizes the PC more than is necessary and tends to subtly insult her lack of manners (in reality, she’s doing her best and isn’t all that rude. It’s a matter of customs and differences that each side needs to understand). It appears he seems to think little of the PC, but he is curious about her and wishes to know more of her and her culture. Ivan is also a foreigner, though he does not mention where he is from. He does little things for the PC which were just awww moments and the scene where they took shelter in the shack. . .too cute and funny. The ending of Ivan’s story had me flabbergasted, even after the story had finished. I’m not sure how to feel about Ivan after the story. In a way, his story was disappointing and I’m almost angry at the PC for being “okay” with what happened. Personally, if this had been myself, I would not have accepted what occurred and picked one of the princes, even though they were pretty persistent in this story. Choose Ivan- If you’re into the older and more mature types. Also if you just want someone that isn’t royalty and puts you on an emotional roller coaster!